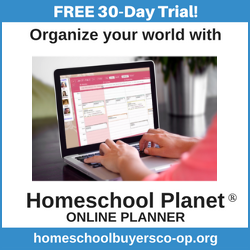 50+ Reasons to Be Thankful for Homeschool! I am so thankful for the opportunity and the blessing of homeschooling my children. However, like any family we also have our tough days. We have the days I feel like I can’t do it all. We have the days where the children are fighting with each other. We have days where decimals seem like they are going to get the best of us. On those days I find that it is so very beneficial to remember all the reasons that I am thankful we homeschool. Our family has many reasons, including wanting to put God first in our lives, teaching true American history, family time, and the time freedom. I asked homeschool moms on my Facebook page and in our Schoolin’ Swag Facebook group to share with me the reasons they were thankful to homeschool. Some of them I have shared word for word and others I combined because multiple moms shared similar reasons. It is my prayer that when you are having a tough day or if you are considering making the switch to homeschooling, that these reasons would be an encouragement to you. Take a few minutes with a hot cup of coffee or a cold drink of lemonade (or my personal favorite chocolate milk), read over this list and reflect on all the reasons to be thankful we can homeschool our children. If you have other reasons, I would love to have you share them with me in the comments. To raise them according to God’s word. I love spending time with my kids. Learning more about life on a daily basis. No more bullying at school. One big blessing(among so many) is seeing how close my children are to each other. I’m thankful for the time to get to really know them. I’m thankful for being able to cater to each individual way my child learns. I’m thankful I was able to instill a love of reading in two kiddos. I’m getting to build a strong relationship with my son. He learns at his pace, not the systems pace! I love the fact that we can school outside when the weather is appropriate. We can also school year round and take vacation days when we want to, not when scheduled for us. As homeschoolers my children have learned to get along with people of all ages. I can teach them the whole American history story. I can teach them what the Bible has to say in regards to science, philosophy, humanity, religions, etc. Kids can spend more time studying in detail the subjects they are interested in. The life learning that happens. The uniqueness of my children’s personalities was allowed to blossom. They get more sleep and more unstructured time. It is awesome to learn new things together. Have time for “extra” things like starting a garden together. We can read books together on topics that aren’t typically school subjects. They can learn to handle firearms and shoot safely without punishment for having a firearm. Siblings in different grades can learn together rather than rarely seeing each other throughout the day. We can take vacations as a family without working around school schedules. We have greater flexibility in scheduling medical and dental appointments. An older student can tutor a younger friend in a subject during a regular school day. We have a school holiday on birthdays. Early risers can start school while others are sleeping. We can eat breakfast together at a decent hour. We wanted our children to know us. We can go on nature walks together and notice details of the world around us. We can have long conversations about things that are side bars of a lesson and wind up having a completely unexpected lesson. All the coffee and like minded mommas out there. I love that we can learn so many subjects from a Christian worldview and really discuss what we are learning. I love that when my child doesn’t understand a concept in math, we can stop and really focus on hands-on learning for as long as we need to until he gets it. I know they are safe (where they are, what they’re doing, who they’re with, no peer pressure). A hike in the mountains, baking cookies, building a fort, growing a garden, etc can be packed with lessons you can’t learn in a book. I don’t want my kids to fall through the cracks of the education system. We can let them have a say in their education. Be encouraged today that this hard work you are doing is totally worth the hard work and the difficult days! You are not alone and it does get easier. Love it! All that I feel and more! It is good to have these in hand for those days when it can be a little frustrating (which for us was today). What a great list! Yes, whenever there’s a tough day it’s good to remember all the blessings and benefits of homeschooling. I wouldn’t have traded it for anything, and if they were honest my kids wouldn’t either. I’m grateful that my children also really appreciate the experience (most days). that is an excellent list! 41 is so completely true. 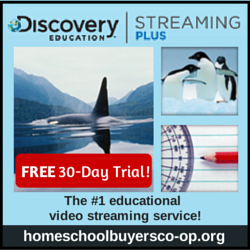 So many great reasons to homeschool! I love being able to see my children get it – learn new information – understand the way a science experiments works. Yes, it is so much fun to watch the ‘light bulb’ go off as they figure out something new.